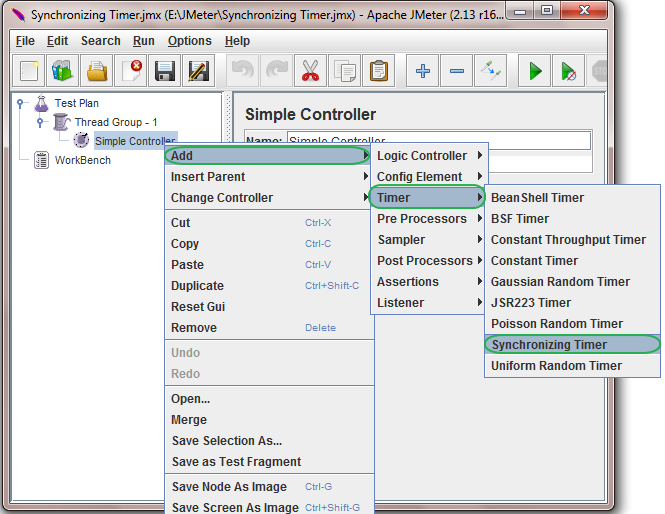 Synchronizing Timer is one of the jmeter's different timers. 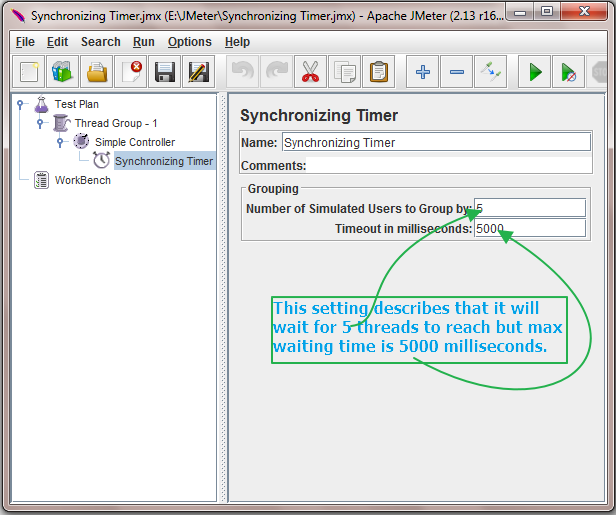 In your jmeter software test plan, You can use Synchronizing Timer If you wants to release X number of threads at given point. It will block the threads until given X number of threads have been reached at specific point. 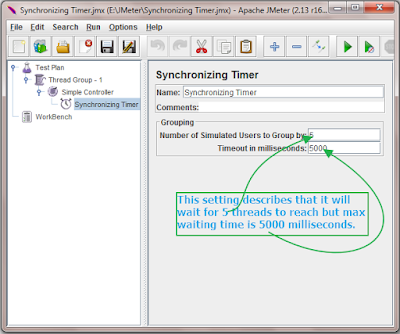 It will release all threads at once when given number of threads are reached on specific point of your jmeter software load test plan, First of all, Let's understand different parameters of synchronizing timer and then learn how to use it in jmeter software load test plan. You can use synchronizing timer on controller level or request level as per your requirement of software application load testing. Let's say, If you wants to add synchronizing timer under simple controller of your software load testing plan then. Right click on controller where you wants to add synchronizing timer. Select Add -> Timer -> Synchronizing Timer as shown in bellow image. It will add Synchronizing Timer under Simple controller. 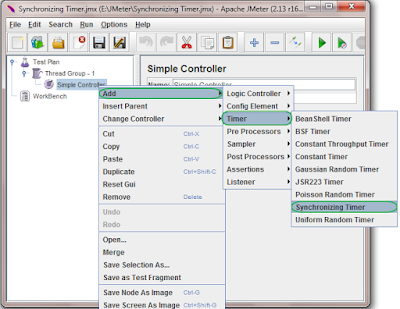 Synchronizing Timer have 2 parameters as shown in bellow image. Number of Simulated Users to Group by : You can set how many threads you wants to release at once. If set 5 then it will block threads until 5 threads reached on given point. Once 5 threads reached, all 5 threads will be released once. 0 means Number of threads in Thread Group. Timeout in milliseconds : Max time to reach given number of threads. If set 5000 then it will wait max 5000 milliseconds to reach given number of threads. After 5000 milliseconds, It will stop waiting and release all threads. Synchronizing timer on controller level with example. Synchronizing timer on request level with example.